Cook size 3mm. Cotton yarn. Ch 8 and form a ring with 1 sl st into first ch. ROUND 1: 16 dc into the ring. ROUND 2: ch 4 (= 1 dc + ch 1), *1dc, ch 1 *, repeat from *-* all the way round and finish with 1 sl st in 3rd ch from beg of round = 16 dc with 1 ch between each. ROUND 3: ch 3, Into next 1ch space work 2dc, dc into dc of the previous round, ch3, dc into dc of the previous round, into next 1ch space work 2dc, dc into dc of the previous round, repeat till you have 8 clusters with 4dc. Sl st into 3rd chain from beg of round. Fasten off. ROUND 4: attach a new color into any 3ch space. Chain 3+3dc+3ch+4dc into first 3ch space. In remaining seven 3ch spaces work 4dc+3ch+4dc. Sl st in 3rd ch from beg of round. ROUND 5: sl st until you reach 3 ch space. Chain 3+3dc+3ch+4dc into first 3ch space. Into space between two petals work 4dc. In next 3ch spaces work 4dc+3ch+4dc. Repeat. Fasten off. Have you ever painted with yarns? Have you already tried tapestry crochet technique? Basically you crochet with two or more colors of yarn traveling the other color always along “inside” the stitches. 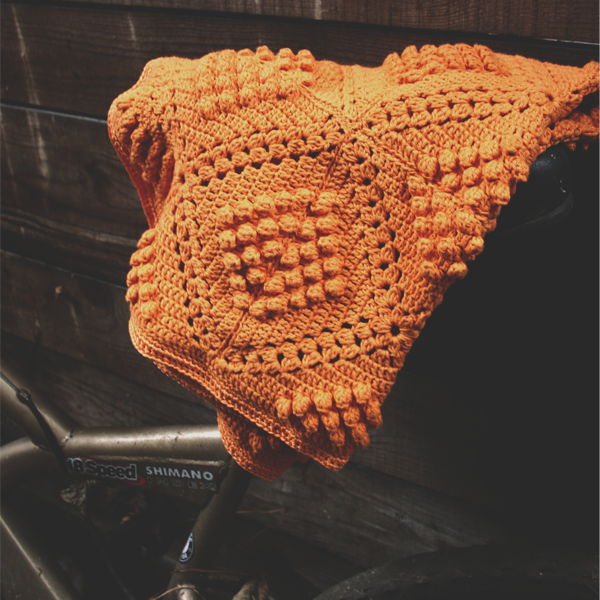 Tapestry crochet allows you to create a piece of crochet that plays with color changes and flat patterns. 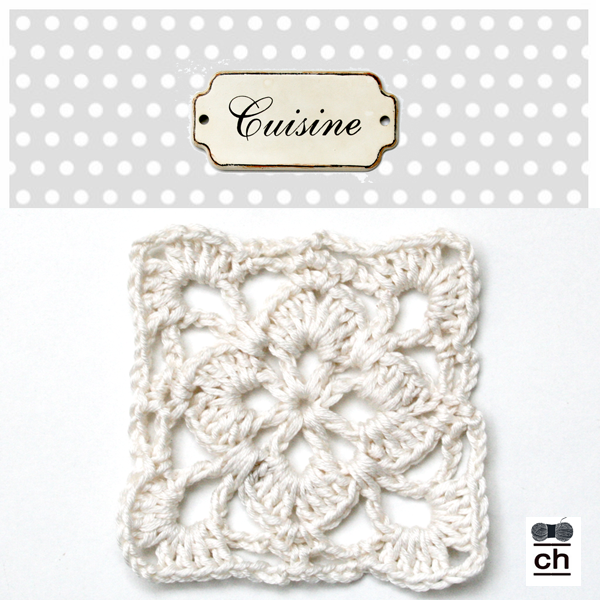 Add crochet edging around just about any paper image and create a frame. Add it to a Christmas card and make your holiday mail more personal. Punch a hole at the top and tie some yarn. Use it as a gift tag or book marker. 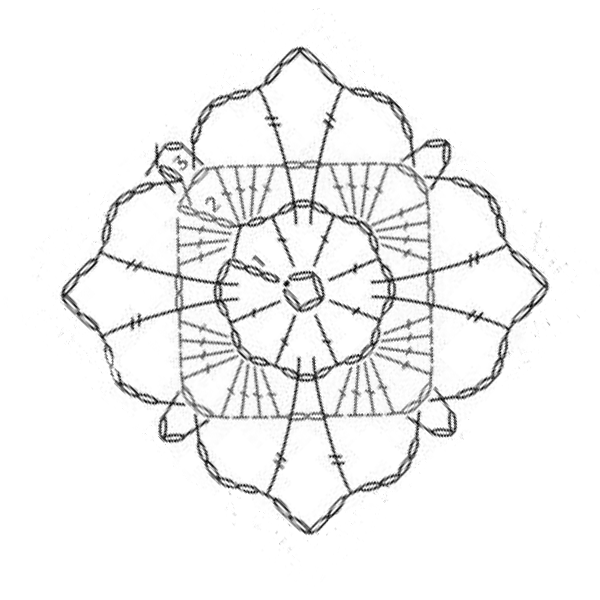 An old idea back to life, vellum paper and crochet, sweetheart-ed ornament or decoration….. I love Christmas trees, Christmas lights and Christmas ornaments more than any other part of any other holiday. My ornament collection keeps growing! I am so excited to add these sweet crocheted medallions to my Christmas ball and vintage snowflake granny. Elegant in spirit, these pretty little medallions look wonderful on my tree and also on spare winter branch. Pretty ornaments made with your own two hands seem to me to embody the very spirit of Christmas! It will only take 10 minutes of your day. What do you say? I made a hook by crocheting 12 chains. Snowflake granny is perfect holiday projects. Crochet yourself a garland to string over the mantle; embellish your holiday gifts with a snowflake granny; use it as Christmas tree ornaments; really, there are so many uses! Did I mention that only take about 20 minutes to make one? With white yarn Ch 6, sl st to the first ch to make a ring. Sl st inti the first ch2 space. Ch3+3tr cluster into the same ch2 space, ch5, *4tr cluster into the next ch2 space, ch5. Repeat * 7 times. Sl st into the top of the first 3tr cluster. Fasten off. Join red color into top of any tr cluster, ch 1, doesn’t count as a stitch. *1dc into the same space, ch2, 1tr into the tr of the first round, ch2, repeat *7 times. Sl st into the ch1 of the beginning of the round. Sl st into the ch2 space. 1dc into the same space, ch 3, dc into the next ch2 space, ch3 around, in total 16 dc and 16 ch3 spaces. Sl st into the ch3 space. Ch 3, count as tr, work another tr, ch 2 and 2tr, all in the same space. You made a corner. *Ch 2, dc in next 3ch space, ch3, dc in next ch3 space, ch 3, dc in next ch3 space,ch 2, 2tr+2ch+2tr in next ch3 space. Follow this* scheme round. If you want your square to have a diamond shape rather than square one, block it by stretching two diagonal corners. Pattern and photo tutorial for Christmas ball is HERE! My big crochet Christmas project this year is red and white Christmas tree. I worked this pattern in rounds, using two separate half circles to cover the ball. The two pieces are then slip stitched together. Ch4. Sl st into the first chain to form a ring. Ch 2, work 9 hdc into the ring (10 stitches in total). Join with a sl st to the 2nd chain. Ch 2 (counts as stitch). Hdc 2 times into each stitch (20 stitches total). Join with a sl st to the 2nd chain. Ch 2 (counts as stitch). *Hdc 2 times in the next stitch and hdc once into the next stitch. Repeat from * around (30 stitches total). Join with a slst to the 2nd chain. Ch 2 (counts as stitch). Hdc once into every stitch (30 stitches total). Join with a slst to the 2nd chain. Ch 2 (counts as stitch). *Hdc in the next two stitches and 2hdc once into the next stitch. Repeat from * around (40 stitches total). Join with a slst to the 2nd chain. Ch 2 (counts as stitch). Hdc once into every stitch (40 stitches total). Join with a slst to the 2n chain. Repeat rounds 1-8 for the second half of the ornament. 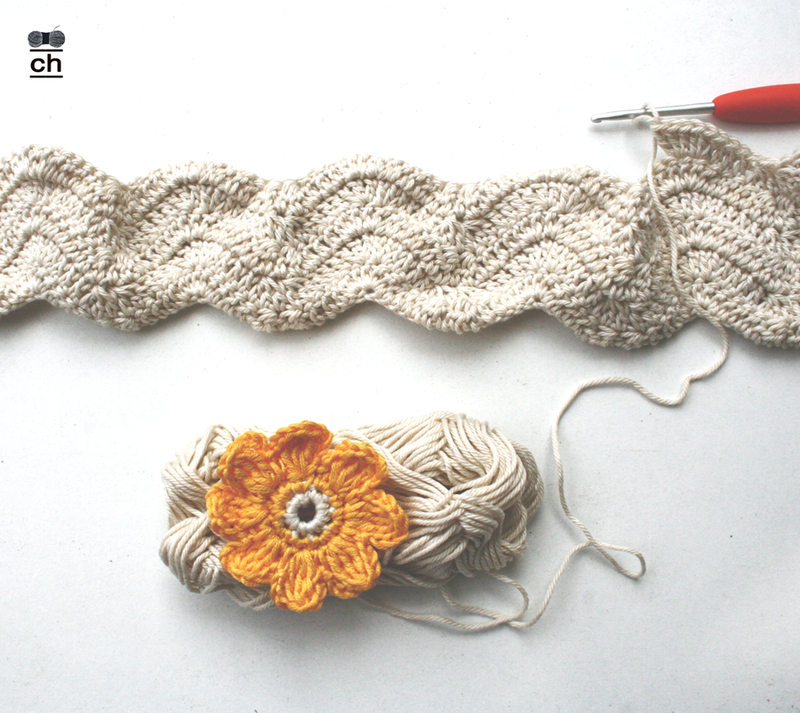 Place the crochet half circles on the ball and pull it down as far as it will go. Line your joining seams for both halves to make your ornament look best..Sl st into the (back) loops of every stitch around the ornament. 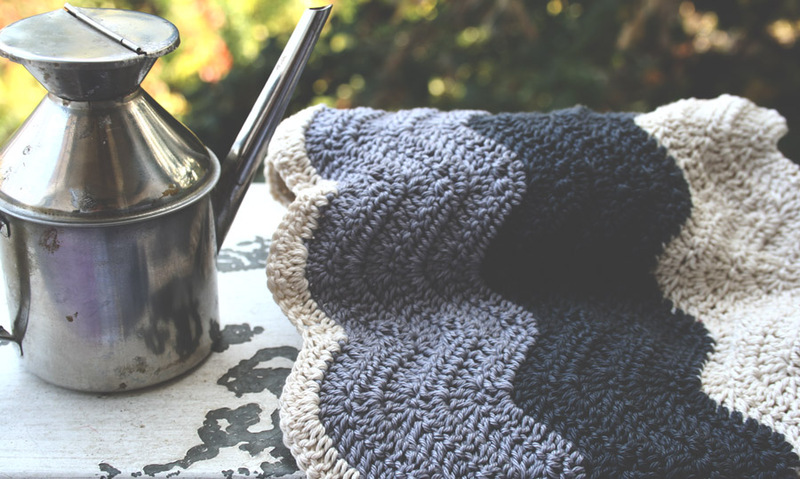 Chevron patterns should be on every crocheters to do list. They create amazing design patterns and look great for all kinds of projects.There’s something captivating and thrilling about the way the ripple effect makes the colors hop and jump. Foundation Row: Chain a multiple of 14 stitches + 2 stitches (I crocheted 182+2) and used crochet hook of 3mm. Row 1: 2 dcs in 3rd ch from hook, *dc in each of the next 3 stitches, dc3tog 2 times, dc in each of the next 3 stitches, 3 dcs in next st 2 times*; repeat from * to * across, ending with 3 dcs in last ch. Row 2: Ch 2. Turn. 2 dcs in first dc, * dc in each of the next 3 stitches, dc3tog 2 times, dc in each of the next 3 stitches, 3 dcs in next st 2 times *; repeat from * to * across, ending with 3 dcs in turning ch. 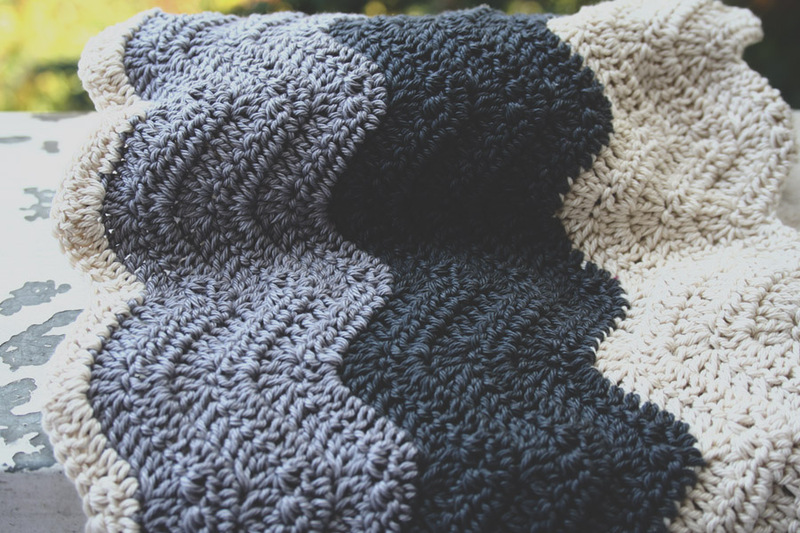 Repeat row 2 until blanket is to desired length. Do you agree that weekends should feel different from the weekdays? I know, you need to do things to be a good spouse, a good parent, a good friend — but aren’t you just a little tired of being “good” all the time? Schedule a weekend of things that make you really happy.